🇩🇪 L* Stammtisch Revival! Unser Stammtisch für alle erfreut sich großer Beliebtheit, aber dieser Abend soll noch einmal den Frauen unserer Community gewidmet sein. 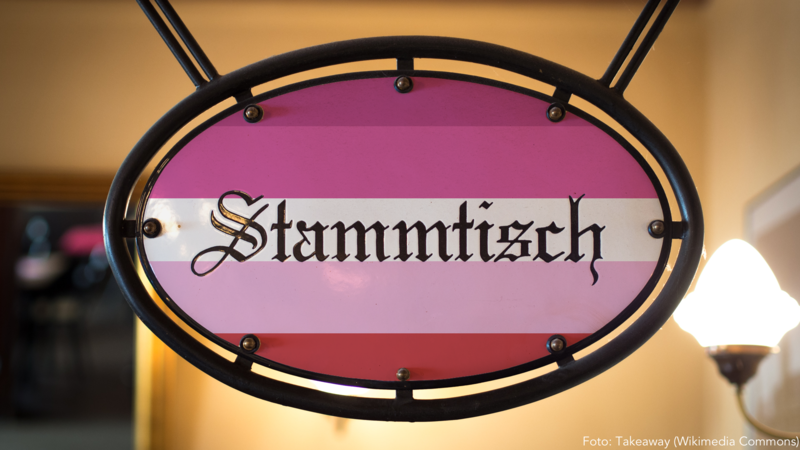 Lesbisch, bi, pan, queer, ein anderes oder gar kein Label – kommt vorbei! 🇺🇸 L* Stammtisch Revival! Our community bar night for everyone enjoys great popularity but this event is dedicated to the women of our community in particular. Lesbian, bi, pan, queer a different label or none at all – come join us! You can find our table right next to the door in the second room.